Over the last several years, enterprises have undergone a digital transformation of their businesses. These changes require flexibility that traditional infrastructures can’t easily support. To meet these challenges, the journey to the cloud is underway. Cloud offerings free business from the constraints of constantly expanding their infrastructure to speed growth. Market efficiencies, economics, and technology have advanced to the point where most mid-to-large organizations leverage a mix of public and private clouds. Architects and decision makers have pursued a hybrid- and multi-cloud strategy, which has led to a dramatic fragmentation of systems. Multi-cloud is driven by selecting the best-in class technologies and services from multiple cloud providers to create the best possible business services. Companies can leverage the advantages, savings, and geographic diversity of choosing from a variety of available clouds. Below we will take a look at four key benefits of going multi-cloud, which includes avoiding vendor lock-in, cutting on premium costs, cutting public cloud costs and improved availability. Avoiding vendor lock-in is key when looking at cloud solutions. Companies should choose the best fit from among multiple cloud providers and insist on the freedom to switch at any given time. By making sure they’re not locked in to a single vendor, organizations can adapt to strategy changes driven by industry evolution without having to re-architect their entire cloud solutions. 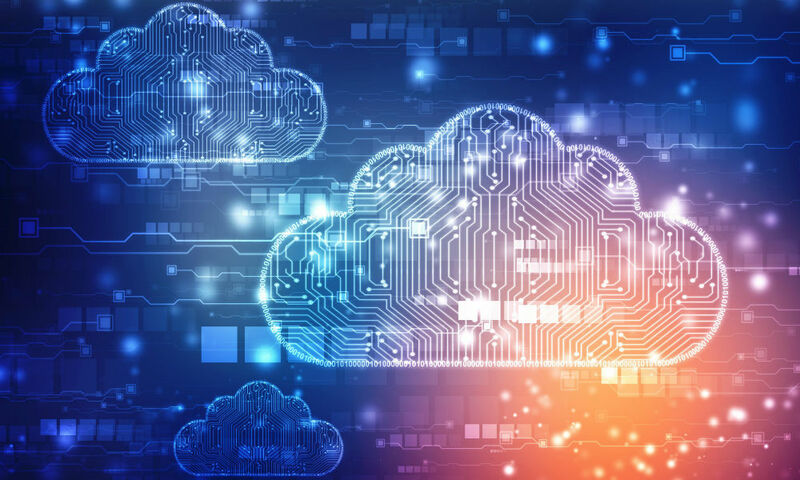 An effect of a multi-cloud strategy is that companies have greater leverage when negotiating with vendors, allowing them to get better pricing and terms, including more favorable SLAs (Service Level Agreements). Multi-cloud solutions enable the use of commodity infrastructure, reducing on-prem costs. By offloading services that require specialized equipment, organizations can focus on general-purpose compute resources, in which pricing is driven by commoditization. Multi-cloud solutions allow for on-demand allocation of required resources, enabling companies to rapidly burst their usage. All hardware, software, and maintenance costs are carried by the cloud providers, yielding a low cost with minimal barriers to entry. This means that organizations no longer need to overprovision their infrastructure. In this way, they can reduce hardware spend and the associated maintenance costs, which can prove to be significant. By selecting the most cost effective, best-of-breed multi-cloud services, organizations are able to minimize their public cloud costs. Public cloud providers offer a wide range of pricing models, allowing companies to mix and match. This enables companies to drive the best performance and comprehensive capabilities at the most attractive costs. Trends like spot instance pricing will continue to drive down aggregate public cloud costs by allowing users to move workloads between providers based on time-of-day pricing. Spot instance pricing allows customers to bid on a vendor’s unused compute capacity at a fairly massive discount (as much as ten times cheaper than typical on-demand pricing). A user specifies the maximum price they’re willing to pay for access to compute capacity for a period of time. The cloud vendor periodically adjusts the spot pricing based on demand. The user is given access to the capacity at the current spot price until it reaches the maximum they bid, at which point their instance(s) are terminated. Cloud providers are incented to maximize the utilization of their fixed resources as they represent sunk cost. Reverse auctions are an efficient method for providers to ensure effective resource allocation driven by the supply-demand relationship of the cloud market, to the advantage of both the customer and seller. Customers are incented by the promise of lower costs, while public cloud providers are able to enhance their competitiveness via pricing, while ensuring that otherwise idle infrastructure resources are consumed. Lastly, multi-cloud enables the arbitrage of pricing disparities across public cloud providers. Third-party CSBs (cloud service brokerages) leverage business models in which they provide value to consumers by aggregating public cloud services, enabling the flexibility to transparently move between providers through a single point of access. This portability allows end users to take advantage of cost savings. In general, the use of public cloud services mitigates the risk of data loss associated with on-prem hardware, software, or infrastructure failure by taking advantage of providers’ HA (high availability) mechanisms. But multi-cloud solutions take this safety net one step further. Active-active or active-standby load balancing between multiple public cloud providers spreads the risk across platforms, minimizing the possibility of downtime. Resource allocation can failover between providers optimizing fault tolerance. Remember that downtime doesn’t just affect you directly through loss of productivity but may negatively affect your reputation. Many high-profile companies were affected by Amazon’s S3 storage component failure of February 2017. An authorized user mistakenly took down a larger set of servers (all of Northern Virginia/US-EAST-1) than intended during routine maintenance. This crippled AWS (Amazon Web Services), which depends on S3, including their popular EC2 (Elastic Compute Cloud), leading to disruptions in service from Apple, GitHub, IFTTT, Medium, Nest, Slack, Trello, Twitch, and many others. By comparison, there were a number of services that were unaffected by virtue of multi-cloud diversity. AWS is considered a generally reliable service (its last major outage occurred in 2012 due to a latent memory leak), but disruptions in service can happen to even the best of cloud providers. For example, Microsoft’s Azure experienced a multi-hour outage that affected parts of the United States and Europe. Remember to include redundancy in your multi-cloud strategy. A multi-cloud approach also allows for steering traffic away from sources that provide the lowest latency according to geographic location and/or service type. Some cloud providers are optimized for high rates of small data transfers (for instance, real-time communications like VoIP and video calls), others may provide better service for lower rates of requests for larger data transfers (for instance, end-of-season bulk data transactions).